Places to see in Lepchajagat: One of the main reasons to visit Lepchajagat is the stunning and breath-taking views of the Mt. Kanchenjunga at dawn. 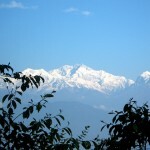 The Kanchenjunga mountain range, in the local language means “the five treasures of snow”, consists of five main peaks. 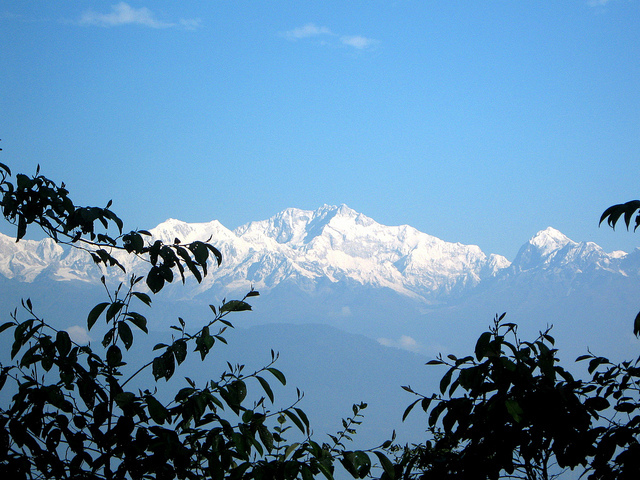 One of the specialities of Lepchajagat is that all the five peaks of the Kanchenjunga can be viewed from Lepchajagat. Particularly during early morning, just after the break of dawn, the sun casts a rich, golden glow on the five peaks of the mountain range, and combined with the peace and tranquillity and the clear, cloudless sky, makes for a truly magical experience. 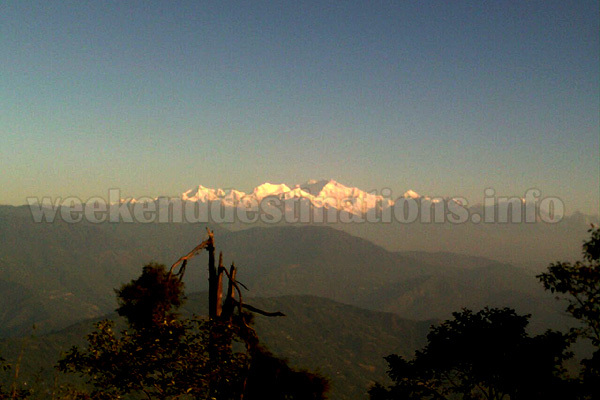 From Lepchajagat, you can also catch a glimpse of Darjeeling town in the distance. In addition to the magnificent and majestic mountain views, visitors will also find great excitement in the numerous forests in the region. 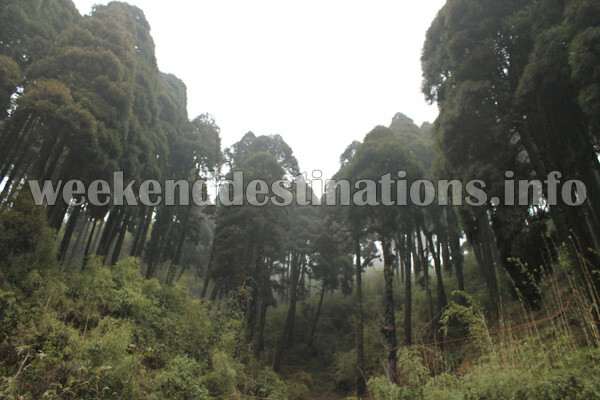 Visitors will greatly enjoy traversing the beautiful pine, oak and rhododendron forests that abound in Lepchajagat. Not only do they offer great places to walk, hike or even camp, but also fresh, unspoilt air, glimpses of frolicking birds and fleeting animals like hares and occasional leopards. Together with the beauty of colourful blossoms in full bloom and the verdant greenery of coniferous trees, the forests of Lepchajagat are truly a picture postcard come alive. Nearby Attractions of Lepcha Jagat: There are many places of interest around Lepchajagat for the interested visitors. 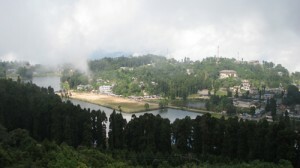 These include Darjeeling, Mirik, Kurseong, Batasia, Jorepokhri and Ghoom. Among these, the most well-known is Darjeeling. 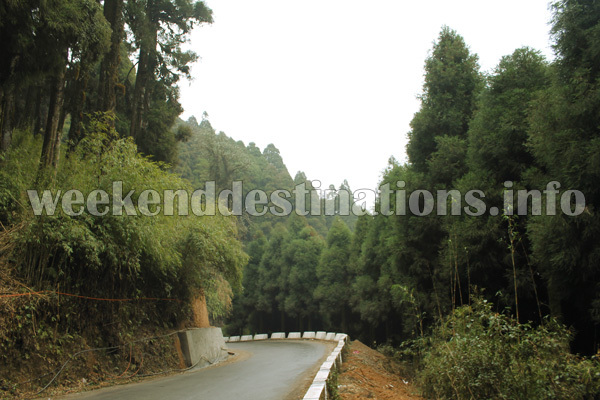 Darjeeling – A lovely hill-town situated not too far from Lepchajagat. Originally serving as the erstwhile British summer capital, it has since expanded into a thriving tourist destination. It boasts such attractions as the Darjeeling Himalayan Railway (better known as the “Toy Train”), the Himalayan Zoo, Observatory Hill, Rock Garden and the Himalayan Mountaineering Institute. Visitors will also be treated to the ubiquitous Darjeeling Tea, and will also be able to purchase the same at reasonable prices. Batasia Loop – It is a large railway loop where the Toy Train makes a complete 360 degree turn, and also boasts a Gorkha War Memorial and a landscaped rock garden. Visitors interested in local crafts may choose to set out before 8 am. Jorepokhri – It’s principal attractions are the two natural water tanks and the beautiful view of the Kanchenjunga range, as well as views of Darjeeling and Kurseong. It is a great place for landscape photographers. Kurseong – Visitors interested in purchasing some of the best quality teas in the world should certainly visit Kurseong. It has on offer some of the finest black teas in the world, such as Castleton, Makaibari and Ambootia. Those interested in trekking may wish to follow guided trekking tours to Deer’s Park or walk to Eagle’s Crag. 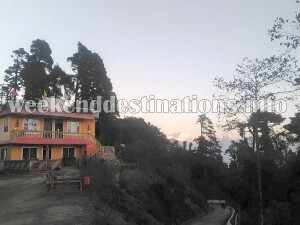 Both spots offer panoramic views of Kurseong and Siliguri. For the historically inclined, Kurseong offers the Netaji Subhash Chandra Bose Museum or several heritage churches such as St. Andrew’s Church or St. Paul’s Church. Mirik – Mirik lake is a must for those interested in enjoying quiet walks around beautiful water bodies in the backdrop of mountains. The floating fountain in the middle of the lake is a truly breathtaking sight, and is bound to leave a lasting impression on the minds of the visitors. The slopes to the west are covered in beautiful, lush pine forests. A quiet boat-ride along the lake will certainly be a crowning moment for most tourists wishing to relax and enjoy the lap of nature. Ghoom Monastery – Situated just 8 kms away from Darjeeling, it is a place of great spiritual and historical significance. Among the many attractions is a 15 ft high statue of the “Maitreya Buddha” or the future incarnation of the Buddha, and various images of the Buddha’s disciples, Chenrezi and Chongapa. Things to do in Lepchajagat: Lepcha jagat offers ample opportunities for those interested in bird watching, trekking or just plain walking. The fascinating birdlife is a star attraction of Lepchajagat, with several rare species including the Fire-Tailed Sunbird and the Rufous Sibia found here. Trekking to Himal Falls or Hawa Ghar is an exciting option to guests. How to reach Lepchajagat: Tourists interested in visiting Lepchajagat may travel towards Darjeeling via car or bus and then get down at Ghoom. From Ghoom, several shared cars are available to Lepchajagat. Best time to visit Lepcha Jagat: There is no fixed time at which to visit Lepchajagat, as it’s beauty and tranquility can be enjoyed at any time of the year. 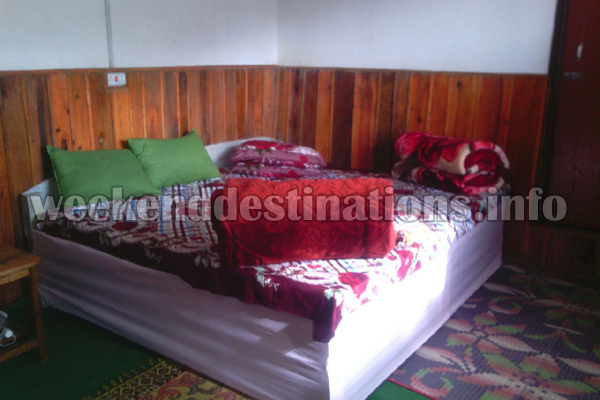 Lodging and dining facilities at Lepchajagat: Our homestay facility at Lepcha jagat has 3 triple bedrooms with attached western bathrooms and facilities like rooms heaters, separate dining area, car parking and a lawn. A motorable road leads to the home stay. Your hosts can also arrange campfire for you in its lawn, trekking in the pine forests and transport to local sightseeing spots. The home stay faces Mt. 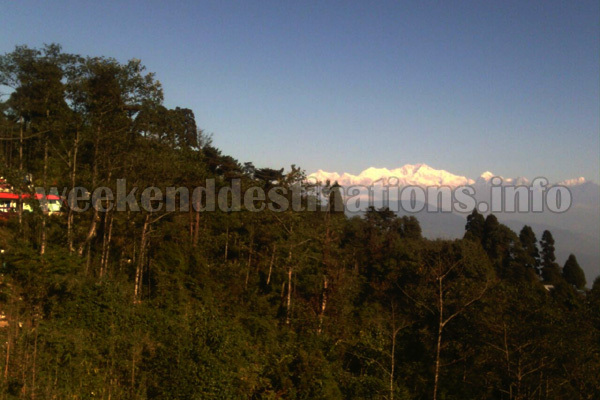 Kanchenjungha and is surrounded by pine forests on all sides. The sight of flickering lights of Darjeeling town in the evenings and Mt. Kanchenjungha turning golden during sunrise from our homestay is a memorable moment. 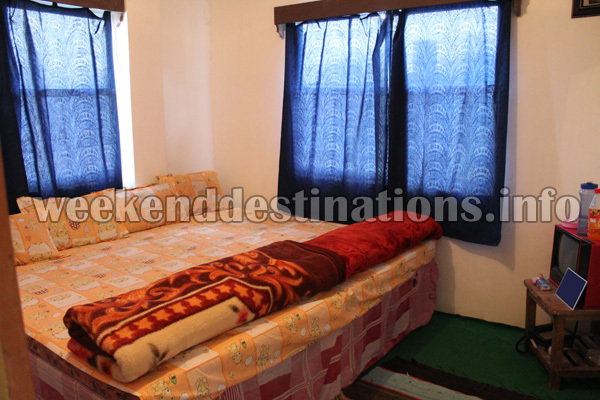 The rooms are spacious, clean and food served in essentially home cooked Indian food. Photographs by Sankar Kusari and others.